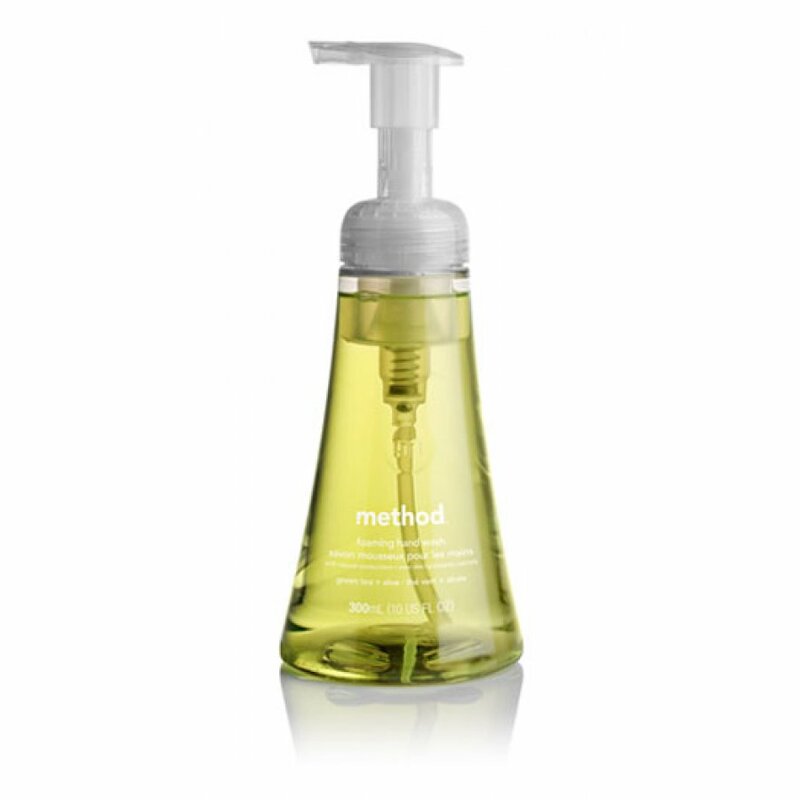 Method foaming handwashes come in a beautifully packaged pump bottles that you will be proud to display in your home and remember all Method bottles are recyclable, so please don't send them to the landfills, recycle after use! Free from parabens, phthalates, animal by-products or triclosan, and Method do not test on animals. Water, sodium lauryl sulphate , disodium laureth sulfosuccinate, glycerine, aloe barbadensis gel, simmondsia chinensis leaf extract, retinyl palmitate (vitamin a), tocopheryl acetate (vitamin e), grapeseed oil, lactic acid, sodium chloride, benzophenone-4, DMDM hydantoin, fragrance, colour. The Method Foaming Handsoap Green Tea - 300ml product ethics are indicated below. To learn more about these product ethics and to see related products, follow the links below. Used in the kitchen and would recommend to all for kindness to skin. I love this product. I find it cleans better than the normal handsoap. 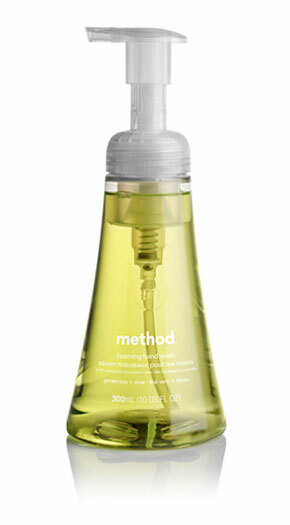 There are currently no questions to display about Method Foaming Handsoap Green Tea - 300ml.